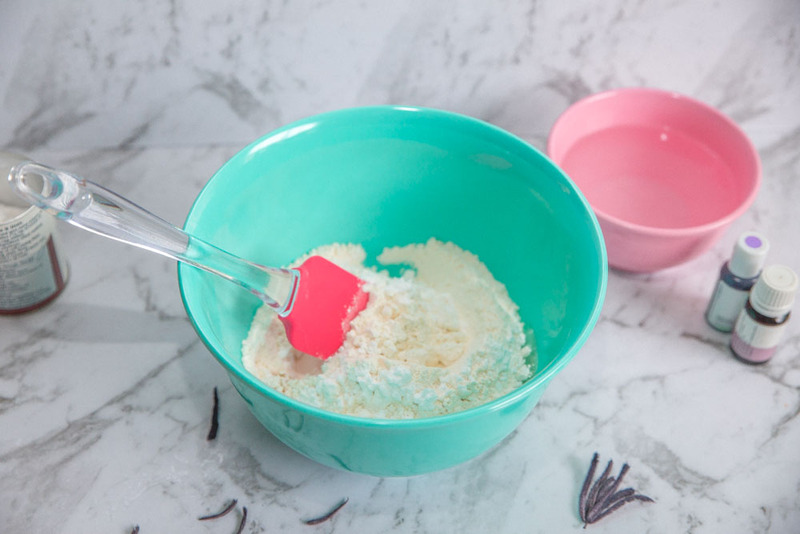 There are so many benefits when you make your own playdough. Not only are you saving money, creating lots of fun for your child but by providing an amazing sensory activity you are helping with important childhood development. Click here to find out all the benefits of sensory activities for children. 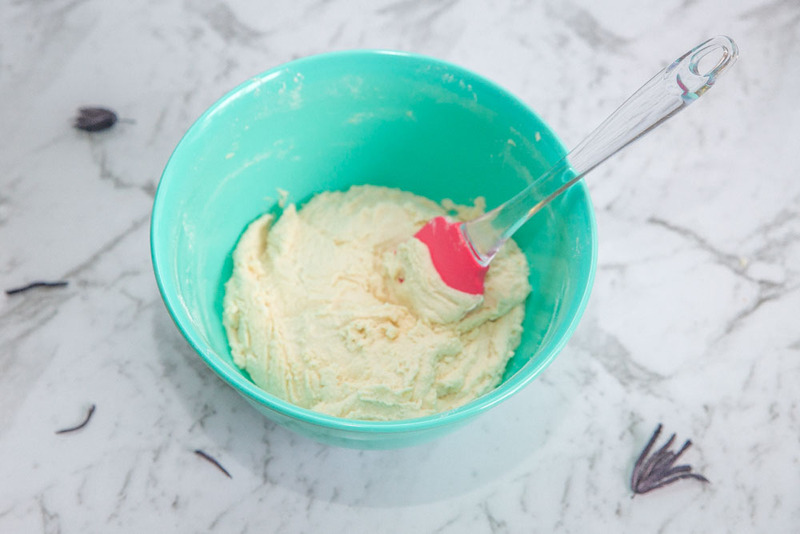 Some great playdough recipes we have created are like this two-ingredient dough and our playdough recipe with cream of tartar no cook. But we really wanted to add some extra sensory play to a brand new recipe. 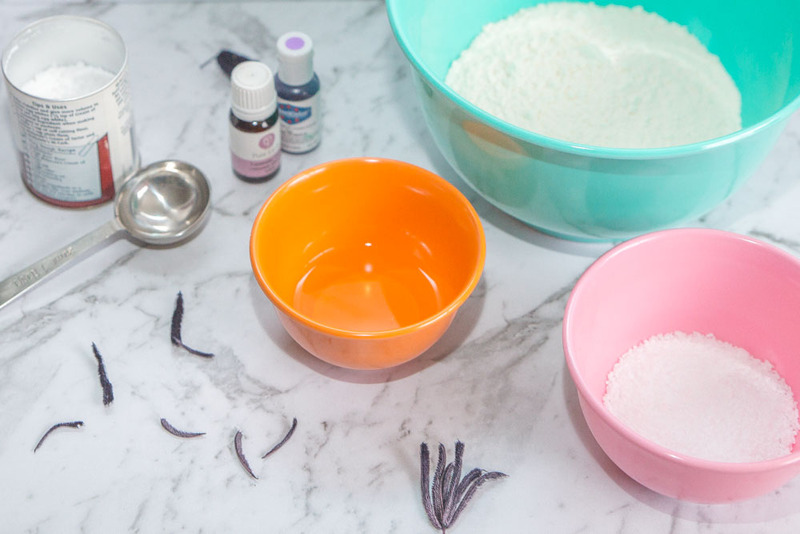 For Moms, we wanted an easy no-cook playdough that would help on those busy days when we really needed some calming play time. 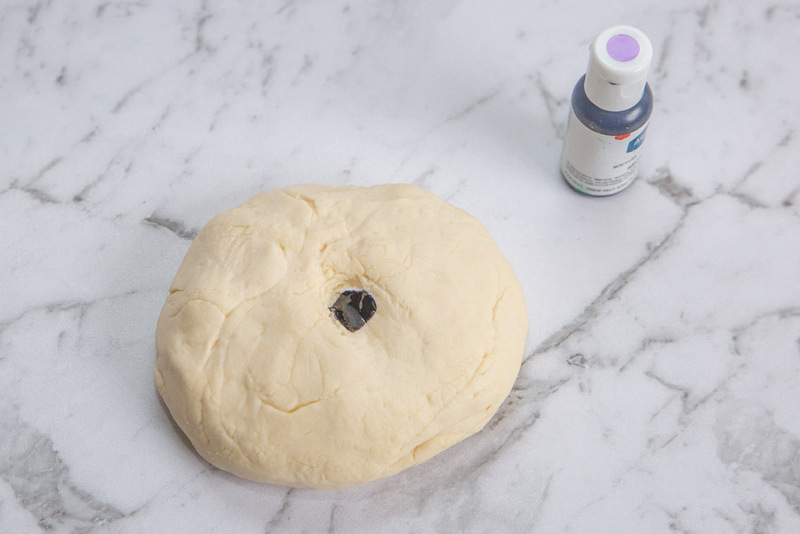 For kids, we wanted a dough that is fun and that stimulated more than one of their senses. 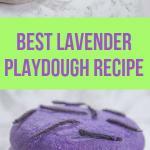 So we came up with the idea to make a lavender scented playdough. 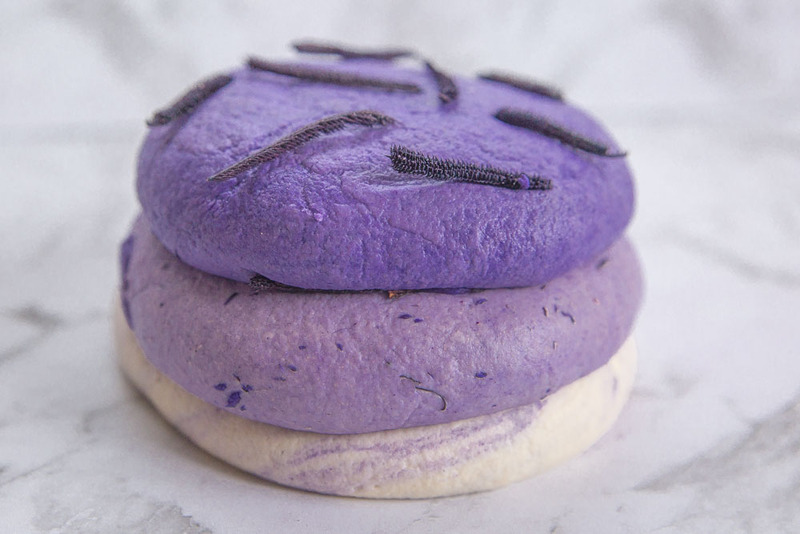 Read on to learn how to make this amazing calming lavender playdough recipe. 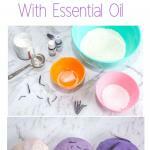 There are many advantages of using essential oils and lavender for kids. 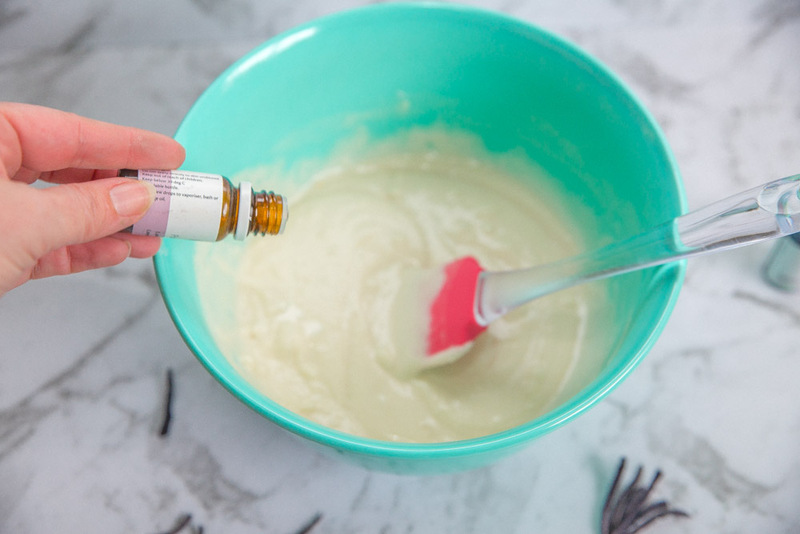 These essential oils are a great, natural way to help kids calm down and reduce anxiety. Some oils that are great to use are Lavender, Vetiver, Rose, and Mandarin. Our advice with oils is to use only 100% pure oils, to use sparingly and to test for sensitivity. 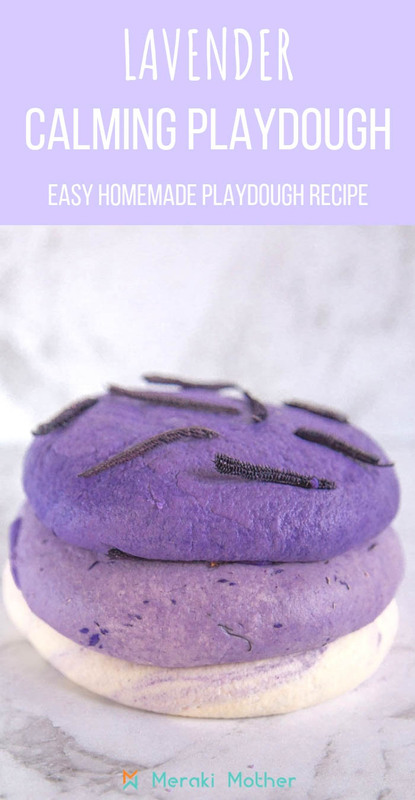 We decided to use lavender calming scents for our no-cook playdough recipe as lavender recipes are stress reliever and we loved the idea of also using dried lavender for extra sensory stimulation. To make playdough without cooking is usually not possible when you have a playdough recipe with cream of tartar but we found a simple solution.. boiling water. Honestly, this easy way to make playdough will take you less than 10 minutes and provide months of fun to your child. Usually, flour and salt play dough contains table salt. We decided to add Epsom Salts. Not only does this stop any skin irritations from regular salt but the Magnesium in Epsom can also help with relaxation and promoting a feeling of calm. 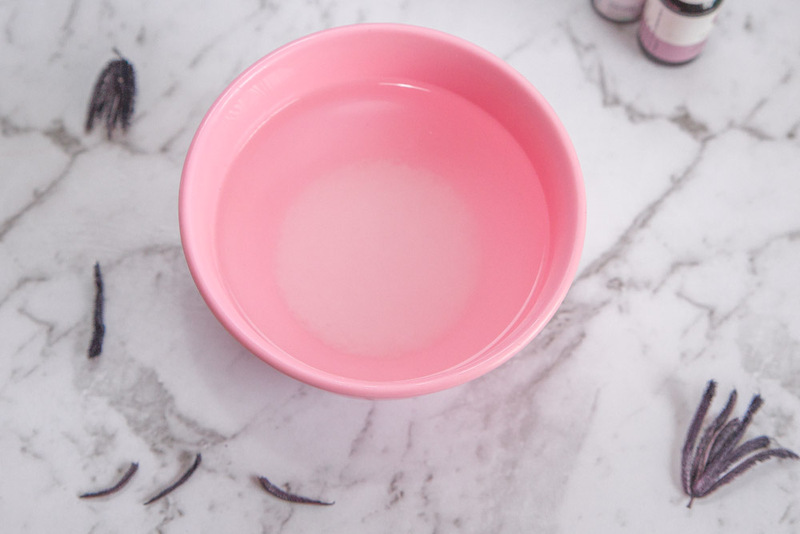 Pour the boiling water over the Epsom salts in a small bowl so that the salts dissolve. 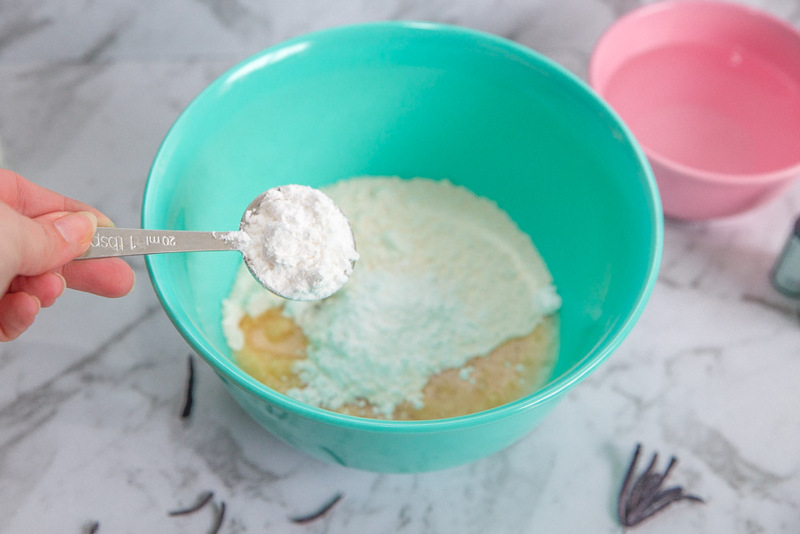 Mix the flour, oil, and cream of tartar in a separate bowl. Next, pour in the salt and water mixture. Then mix together. Add the essential oil. Use as much or as little as you prefer. We usually use between 5-10 drops. Mix well. You may need to add more flour or more water depending on the consistency. Once you have the right texture, put onto a worktop and knead until it is playdough. The kids usually have great fun with this step. Make a small dip in the playdough mixture and add the food dye. Then knead until you have the color you want. Our dough was split into three and we added more or less dye to make three different types of purple. Add your textures. 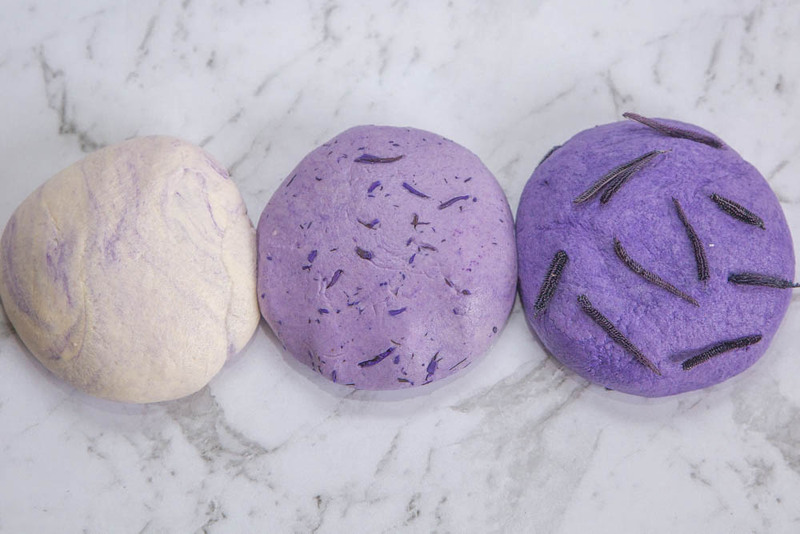 We left one ball of dough plain and smooth, added crushed dried lavender buds to another ball and then dried stems to the last ball. 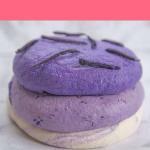 This gorgeously scented lavender cloud dough is wonderful to play. Have fun with the kids! So, how long does playdoh last?. The salt in this recipe will help the dough last for three months or more. You will need to store it in anairtight container to stop playdough going hard. 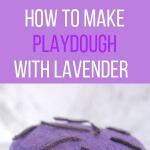 If the dough accidentally gets left out there is an easy way how to fix dry playdough. Just add water! Only add a few drops at a time and knead after adding. It may take a little time and effort but it will work.